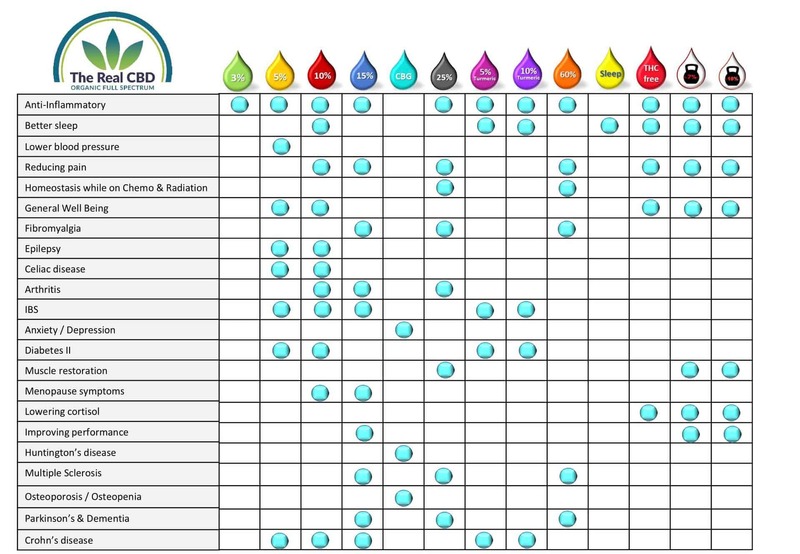 The Ultimate Real CBD Product Guide! The CBD world grows every day and new brands come and go. Some CBD products are made at home in the kitchen and sold through a variety of channels, while others are created in production-grade factories and are lab tested. For newbies, it can be very overwhelming to decide where to find suitable products and which ones you can trust. What CBD product is best for me? What is actually in that bottle you are willing to pay a small fortune for? Browsing through an endless amount of products with names you can’t even pronounce can get tiresome and make you feel lost, leading you to give a shot in the dark and still feel uncertain about what you are buying or just give up altogether. This article is an overview of what The Real CBD has to offer with guidelines for which product is best suited to you. This should help you on your journey of finding your perfect CBD product. Before we walk you through the full range of CBD products, let’s highlight all the products and their unique properties. The icons on the horizontal axis indicate the product. More information about the products can be found when scrolling down! The 3% CBD oil is good for general body maintenance and can improve overall well-being. It is not a very strong oil so it is a good choice, to begin with, a discover if CBD is something for you. 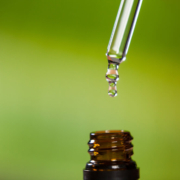 As it is a starting oil you cannot expect to see any major changes, but it is great to start off your journey with CBD. Our pure CBD oil guarantees you a high-quality nutritional supplement derived from European Hemp plants, grown in organic soil. The 5% pure CBD oil is good when taken for preventive purposes along with maintaining a healthy, general well-being. It is known to help issues such as high blood pressure or minor inflammation. If you suffer from IBS, Crohn’s disease or Celiac disease without symptoms which are too severe, this oil will be perfect for you. Our body relies on the Endocannabinoid system to stay in homeostasis; an internal balance maintained despite the external ups and downs in life. At times, the body doesn’t produce enough cannabinoids to combat these fluctuations. Adding CBD oil to your wellness routine helps to keep the cannabinoid levels in check. The Real CBD’s 10% CBD oil has many benefits. It can help improve your sleep, reduce inflammation and relieve menopausal symptoms. It gives a generally positive influence on your overall well-being and is also useful for reducing pain associated with arthritis. The CBD is produced in an organic and natural way. The harvest is hand-picked and converted into a high-quality CBD product. The flavour of this organic full spectrum product can be described as nutty and herbal. This high-strength oil contains high levels of CBDa, which is the acid form of cannabidiol which has shown positive results in relieving pain associated with arthritis. This active ingredient is often lost during production; however, our product is able to maintain the CBDa perfectly thanks to our production process which avoids excessively high temperatures. This product has also shown many benefits for people in the early stages of Parkinson’s disease and Multiple Sclerosis. The 15% pure CBD oil is our best seller because of its wide range of benefits. CBG oil has helped many with their anxiety and depression. It is showing positive results with Huntington’s Disease and IBS patients. Acceleration of bone growth after breaking a bone has also been a positive result of taking this product, along with helping osteoporosis patients. The fast-moving, competitive society engulfed in social media we live in today is leading many youngsters to suffer from anxiety and depression, and CBG oil has shown outstanding results in helping them. 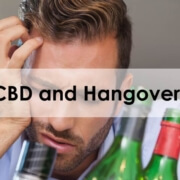 CBG interacts directly with the neurological receptors in the brain and re-connects the “broken circuits”. Pure 25% CBD oil is used to help chemo and radiation patients restore balance. It helps to relieve pain related to Fibromyalgia and MS and helps blood sugar levels in Diabetes II. It is a very potent oil with many benefits. Parkinson’s patients have seen vast improvements in their daily quality of life on this specific CBD oil. High concentration CBD/CBDa paste is a very potent CBD product, normally used to help with extreme pain or for cancer patients going through chemo or radiation. As a result of it’s high strength it is extremely useful when it comes to inflammation. MS patients and cancer patients can improve their daily lives and reduce the symptoms of their diseases. This CBD oil is specially designed for pets. It helps your pets fight health conditions, anxiety, phobias and improves the general quality of life. 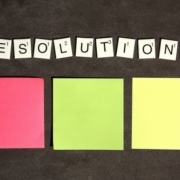 Dogs and cats have a much faster metabolism so you will see improvements very quickly. You can place the drops in their food or on a treat. We all just want our pets to feel good! This oil can help your furry friend maintain a lustrous, shiny coat while also targeting the digestive system and energy levels. An overall winner for pets! Our Athlete oils are specially created with focus on muscle restoration and anti-inflammation after an intense workout. The carrier oil is MCT oil known for its benefits within the sports world. The 7% oil is developed for people who train 2-3 times a week with moderate intensity. The 18% Athlete oil is already our best seller and became famous in the sports world. The fact that it can reduce D.O.M.S for athletes and sports professionals who do intense training 4-7 days a week and restore the muscles quickly is a huge welcome in the training society. The reports are that sleep is better and cortisol levels are lowering meaning that intense training is possible without all the negative side effects. This combination is a match made in heaven. The black pepper provides a better absorption of turmeric through the body. The potential health benefits of turmeric (curcumin) include better regulation of inflammation. It can be used in the treatment of numerous inflammatory conditions thanks to its fantastic anti-inflammatory effects. This powerful formula is designed to help support a healthy lifestyle. Turmeric has been used traditionally in both Ayurvedic and Chinese medicine for a myriad of health benefits. The active compounds in Turmeric are called curcuminoids, which includes the notable curcumin, known for its powerful antioxidant activity. Clinical trials have found it to be more effective than a placebo for relieving pain and swelling in people with osteo-and rheumatoid arthritis. The Sleep Solution is great for better and deeper sleep. 1 drop has 1mg of Melatonin for easy dosage. Together with CBD’s calming and relaxing effect you get a “double” effect. This oil should only be taken before bedtime. You can combine this oil with a daytime oil from our CBD combo pack 1,2 or 3. An oil created for people who regularly go through drug testing in their work or at the sports club. This oil is made with CBD Isolates and organic olive oil ONLY and is 100% THC free. This balm is a fantastic help for minor skin conditions such as dry patches, redness or smaller wrinkles. It is beeswax based so it gives moisture and provides the skin with vitamins and minerals. This balm is great for localized pain, applied to skin conditions such as eczema, psoriasis, or to help sooth your arthritis. This potent balm has shown many good results on acne and problematic skin. The balm comes with a lovely lavender scent and will last you a long time. This bottle gives approx. 200 drops. 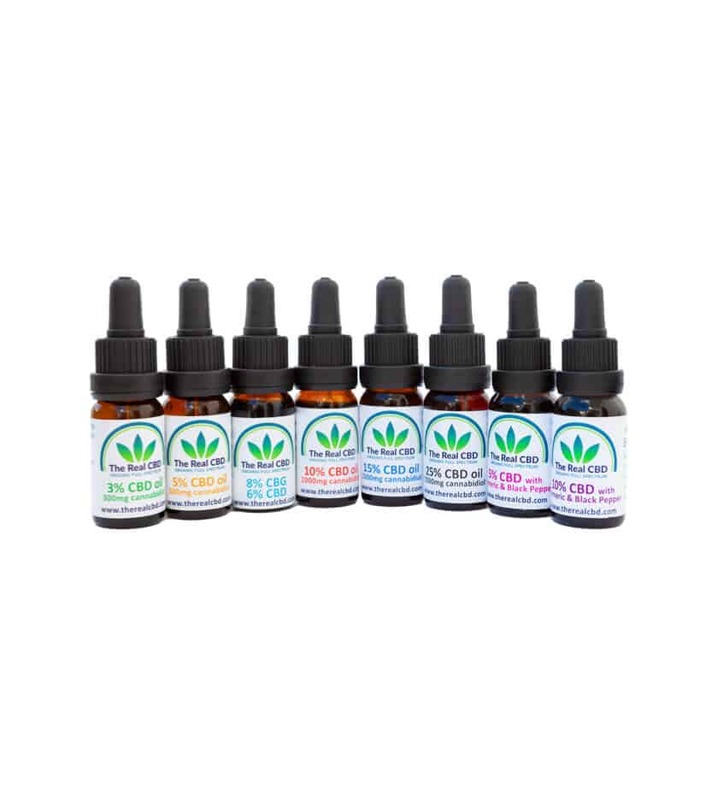 Vaping CBD is a very affordable, direct and convenient option for your daily CBD intake. We have chosen to make our E-liquid flavourless so you can blend it with your favourite E-liquid flavour. A slightly stronger E-liquid for people with periodical normal lung and respiratory illnesses such as the common cold, bronchitis or throat infections. CBD E-liquid is considered the most bioavailable way to take Cannabidiol. This is because it enters the bloodstream via the lung capillaries quicker than it would if it’s ingested in food via the stomach with drops. Full spectrum CBD e-juice means it is made from the whole cannabis plant. This ensures that as well as Cannabidiol, the source also contains terpenoids, (terpenes) which have their own physiological benefits too from anti-anxiety to anti-inflammatory properties. This product is ideal for all kinds of lung patients, from asthma to chronic bronchitis to COPD. The CBD can dilate the airways, inhibit possible inflammations, and normalize mucus production. It often reduces the coughing stimulus. By inhaling CBD in this way, it goes directly to the spot, and the effect is faster and more effective. Use is not limited to just this group, because CBD has a general analgesic and (muscle) relaxing effect. It can also provide relief in case of headaches. We are proud to finally offer the CBD Pain Patch. It is a premium quality transdermal patch with 8mg of CBD, which stays on the skin for 24h. 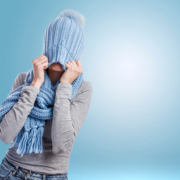 The body heat activates the slow release of the CBD which will enter your bloodstream almost immediately. A superbly developed patch with the finest skin-friendly adhesive on the market together and the highest quality carrying film. CBD edibles have always been popular. 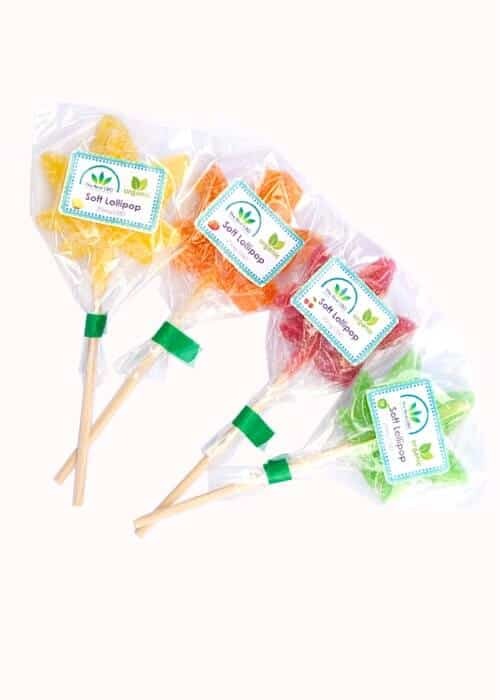 Our lollies come in many flavours and are an easy and convenient method to get your daily dosage of CBD, especially if you’re on the move. We have minimized the amount of sugar by using pectin to get the best consistency. As this product still contains sugar, we recommend only to use it when necessary and not as a daily addition to your CBD regime. 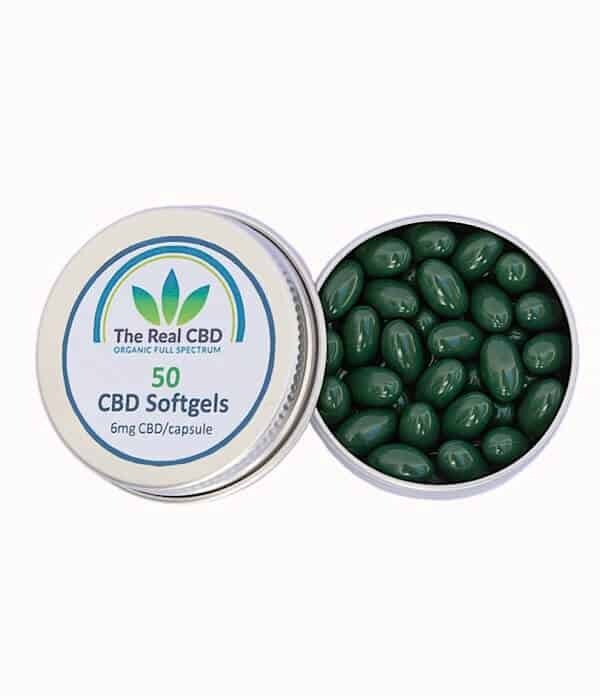 CBD in the form of a soft gel capsule. Easy and discreet to use! CBD capsules are an ideal option to quickly and easily get a dose of healthy CBD especially when travelling. Inside each capsule is the thick CBD extract. Extracted from organic hemp plants using Supercritical CO2 method, it then goes through a gentle cold filtration process. The result is CBD Extract in its most complete form with nothing added or taken away. Products from The Real CBD do not cure but may provide relief from many additional ailments on a patient by patient basis. The body cures itself. These statements have not been evaluated by the (FDA) or any similar agency (EU) and are not intended to diagnose, treat, or cure any disease. Always check with your physician before starting any new supplement program. 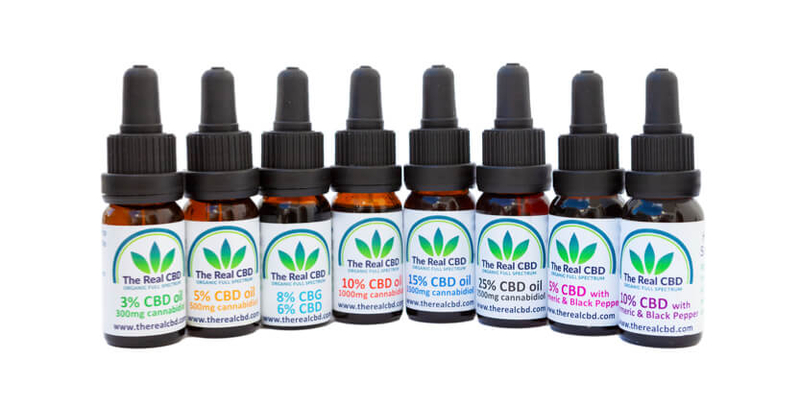 https://www.therealcbd.com/en/wp-content/uploads/2018/04/All-bottles.jpg 936 833 Design https://www.therealcbd.com/en/wp-content/uploads/2017/11/squarelogopng.png Design2019-03-27 15:19:292019-03-27 15:19:29The Ultimate Real CBD Product Guide! CBD patches to relieve you from your pain! is pure CBD oil effective against anxiety? Can CBD help you sleep better? What you should know! CBD patches to relieve you from your pain! CBD oil for ADHD?